It is critical to secure private RSA key material to prevent unauthorized access to the protected data. Management of cryptographic key material is a larger topic that is out of scope for this blog post, but should be carefully considered when implementing encryption in your applications. 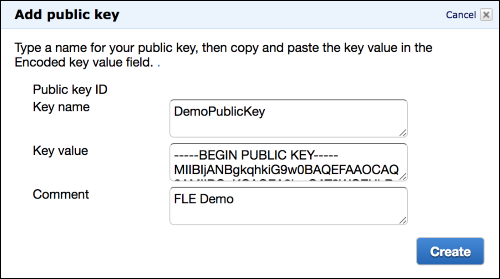 For example, in this blog post we store private key material as a secure string in the AWS Systems Manager Parameter Store. 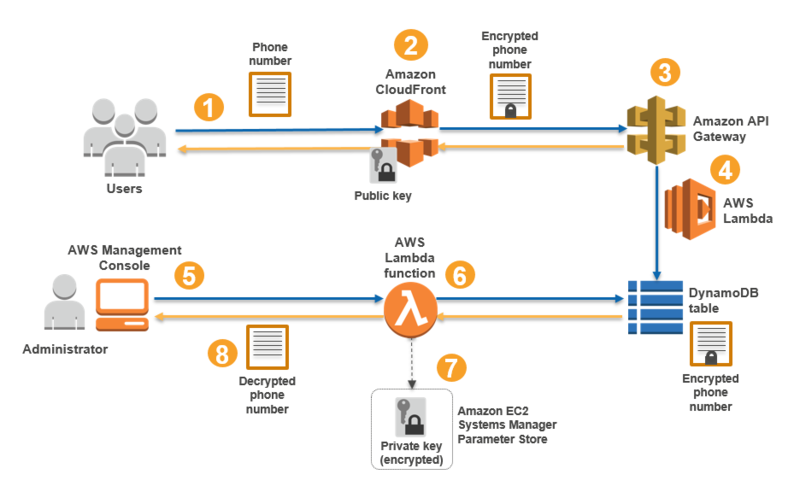 The Parameter Store provides a centralized location for managing your configuration data such as plaintext data (such as database strings) or secrets (such as passwords) that are encrypted using AWS Key Management Service (AWS KMS). You may have an existing key management system in place that you can use, or you can use AWS CloudHSM. CloudHSM is a cloud-based hardware security module (HSM) that enables you to easily generate and use your own encryption keys in the AWS Cloud. The administrator decrypts sensitive data by using private key material stored in the AWS Systems Manager Parameter Store. 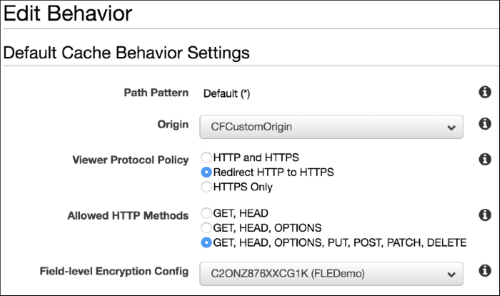 In this step, you store the private key in the AWS Systems Manager Parameter Store as a SecureString data type, which uses AWS KMS to encrypt the parameter value. For more information about AWS KMS, see the AWS Key Management Service Developer Guide. You will need a working installation of the AWS CLI to complete this step.